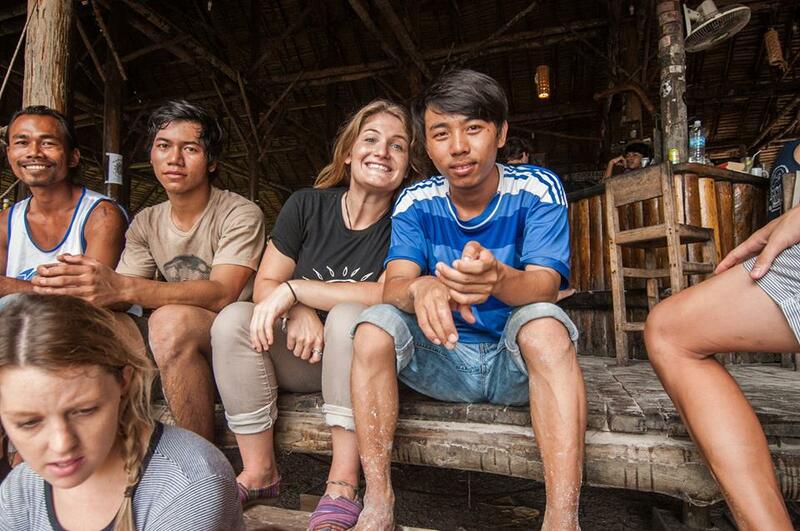 Over the years, Friends of Koh Rong has hosted an amazing crew of volunteers from all corners of the earth. Each and every individual has had an impact on both the organisation and our beneficiaries, and we are forever grateful for their work. Many have gone on to become lifelong supporters after their time on the island, and help remotely with fundraising and raising awareness. We understand that Koh Rong is an appealing place to volunteer, and receive many applications from potential volunteers. The harmful effects of ‘voluntourism’ are well documented, and Friends of Koh Rong is committed to ensuring that we are not part of the problem. If you're considering short term volunteering in Cambodia, FoKR encourages you to educate yourself about the potential harms. This article from The Guardian and this program run by Friends International are good places to start. We accept only skilled volunteers with professional or practical experience who can commit to a minimum period of time. Successful volunteers at FoKR are enthusiastic individuals with skills, innovation and expertise who are willing to work directly with our staff to share, collaborate and empower local people. If you think you may have skills beneficial to the work Friends of Koh Rong does, please read on and get in contact. Importantly, Friends of Koh Rong does not accept short term volunteers. We ask all volunteers to commit to a minimum of two months. We understand that this isn't practical for everyone, but it is in the best interest of the children we work with. If you are travelling through Koh Tui, and would like to support our work, please visit the FOKR House, have a chat to our staff, and buy a t-shirt. Please click through to read the our Volunteer Requirements Policy. You are welcome to contact us to enquire about potential volunteer opportunities that may be available in the future before you begin your application. However, applications to volunteer with Friends of Koh Rong will not be considered unless all the requirements are met. We believe that our local staff are the best people to be running Friends of Koh Rong, but sometimes they can do with an extra pair of hands. Our most successful volunteers come with a wealth of knowledge and/or experience, and in their time on the island help our staff to develop their skills. Volunteers assist in building capacity for ongoing development within the organisation, by transferring their skills to our local staff, to create real, long-lasting change. The feel good factor. An amazing experience. Becoming part of a global network of FoKR Family. Friends of Koh Rong doesn't pay volunteers, nor does it make vast profits from volunteers. We offer to organise food and accomodation through the organisation if that suits people, however it's not mandatory. Experience has shown that this works out cheaper and easier than sorting it yourself, but it's totally up to you. All volunteers are expected to cover their own costs for the duration of their time with Friends of Koh Rong. If you want to know more about how this looks on paper, shoot us an email and we'll send through our Volunteer Guidebook. If you want to hear what some of our past volunteers have to say about their time with Friends of Koh Rong, scroll down. My first couple of weeks on the island have been an eye opener — it definitely is a different world than home. And needless to say the bucket showers, lack of electricity and abundance of rice take some getting used to. However, there is something captivating about this island, the village and this organization draw people in whatever your motives are. FOKR’s small size and grassroots efforts allow eager volunteers to really get involved. Cara and Anna with friends in Koh Tui village.